This entry was posted in Advocacy on March 10, 2015 by Dr. Kelli Sandman-Hurley. This entry was posted in Advocacy and tagged advocacy on January 14, 2015 by Dr. Kelli Sandman-Hurley. 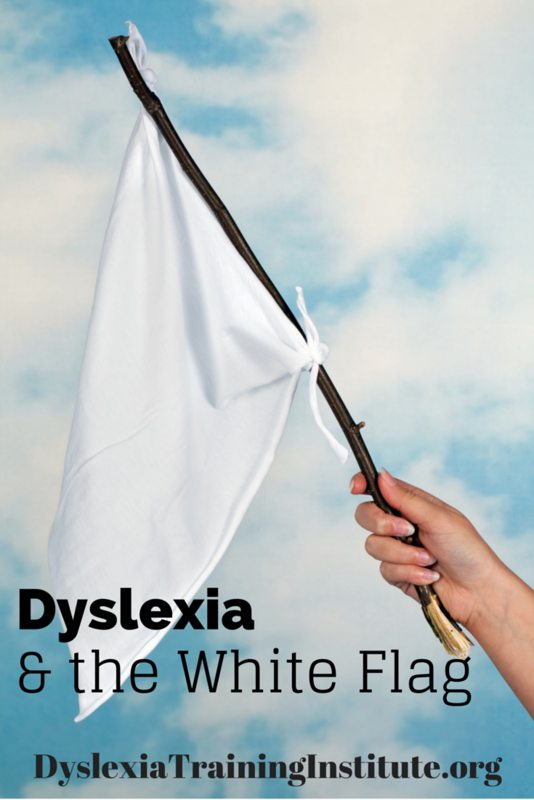 What an amazing month it has been as people spread the word about dyslexia! Education changes everything and the information that is being shared, the awareness that is being raised, and the lives that are being changed will forever be the legacy of those who advocate. Throughout the month we have featured weekly giveaways, but we have saved the best for last. 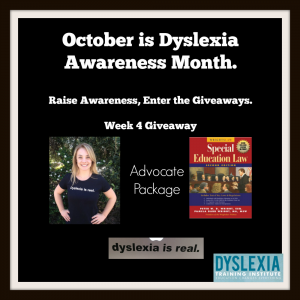 This week, you have a chance to win an advocate package featuring the Wrightslaw: Special Education Law, 2nd edition book, a “Dyslexia is Real.” t-shirt, and a “dyslexia is real” decal. 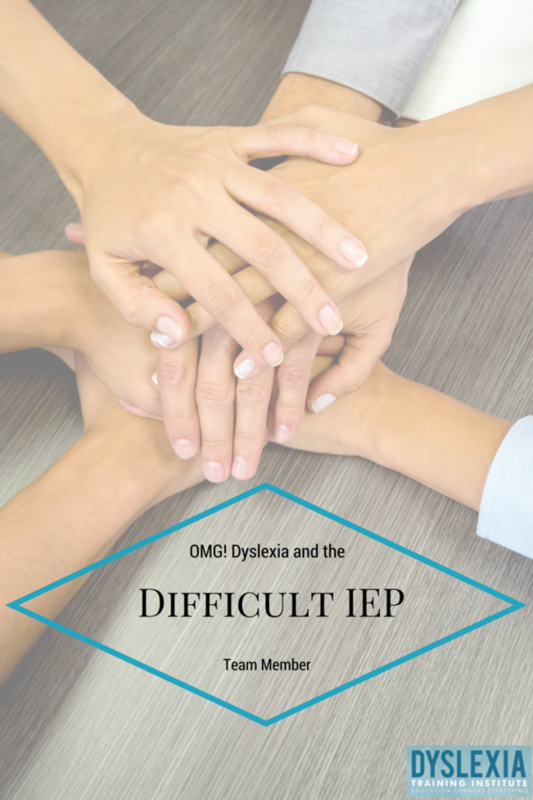 It is the perfect way to get the word out there about dyslexia (and be stylishly dressed while attending IEP meetings, of course). This entry was posted in Advocacy on October 22, 2014 by Dr. Kelli Sandman-Hurley. Forget the stick families on your car window or the cute sticker on your laptop lid, it is time to take advocating to a whole new level with a “dyslexia is real” decal. 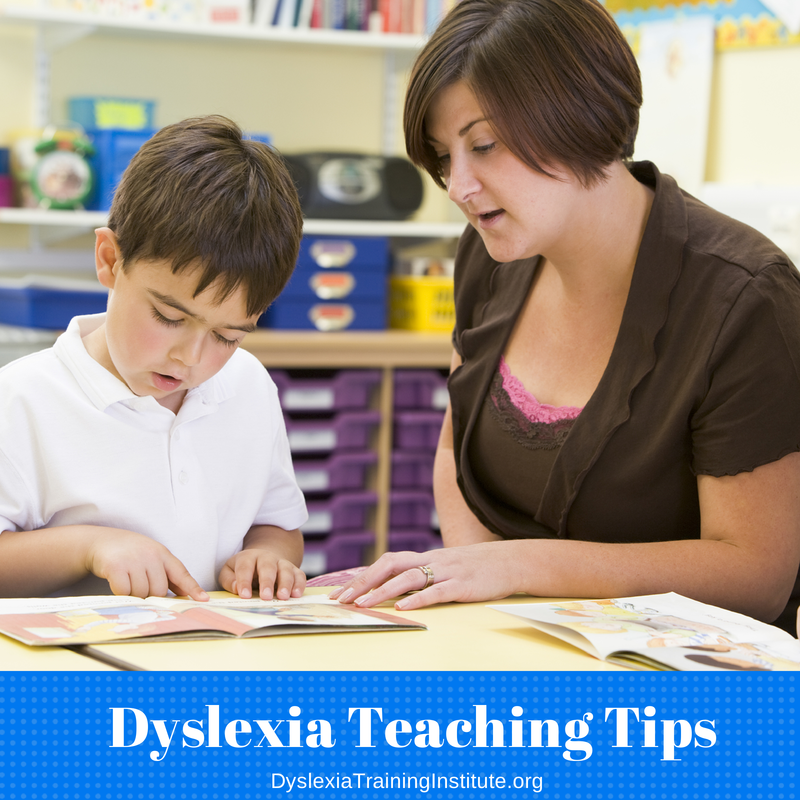 During Dyslexia Awareness Month, we are featuring giveaways each week to help raise awareness for dyslexia. 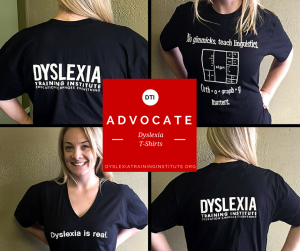 The first week we gave away a copy of Wrightslaw: Special Education Law, 2nd Edition and last week we gave away one of our Dyslexia is Real t-shirts. 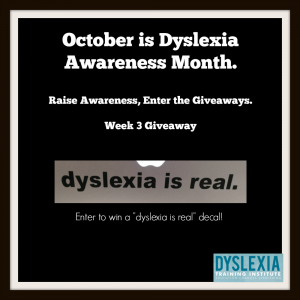 This week we are excited to feature a jet black “dyslexia is real” vinyl decal that can be used on your car’s rear window, on the lid of your laptop, on the wall in your office, or anywhere you would like to place it to help spread the word. 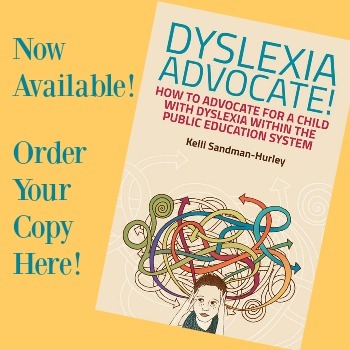 This entry was posted in Advocacy on October 15, 2014 by Dr. Kelli Sandman-Hurley.